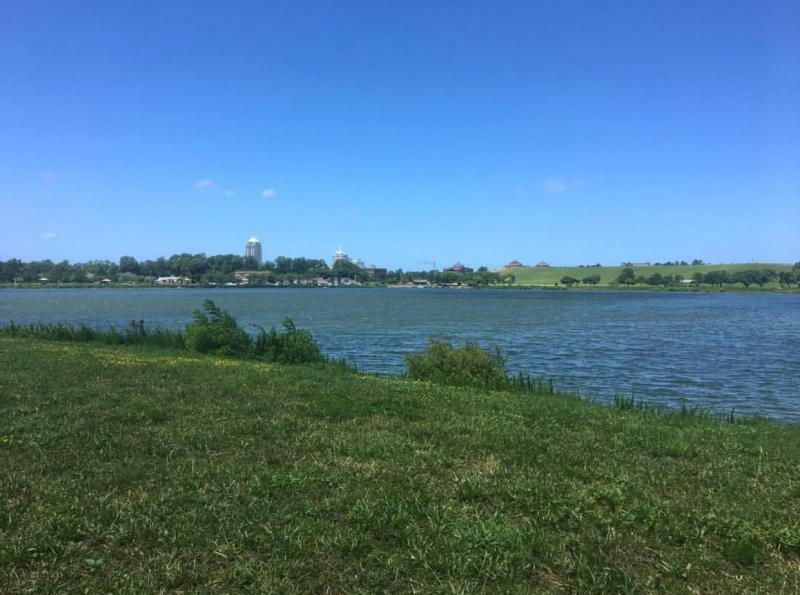 The world-renowned Mount Trashmore Park encompasses 165-acres and is comprised of two man-made mountains, two lakes, two playgrounds, a skate park, and multi-use paths. The main mountain is called Mount Trashmore because it was created by compacting layers of solid waste and clean soil. Recognized for its environmental feat, this former landfill is more than just a scientific marvel. It is also a fun place to spend a day outside in Virginia Beach. 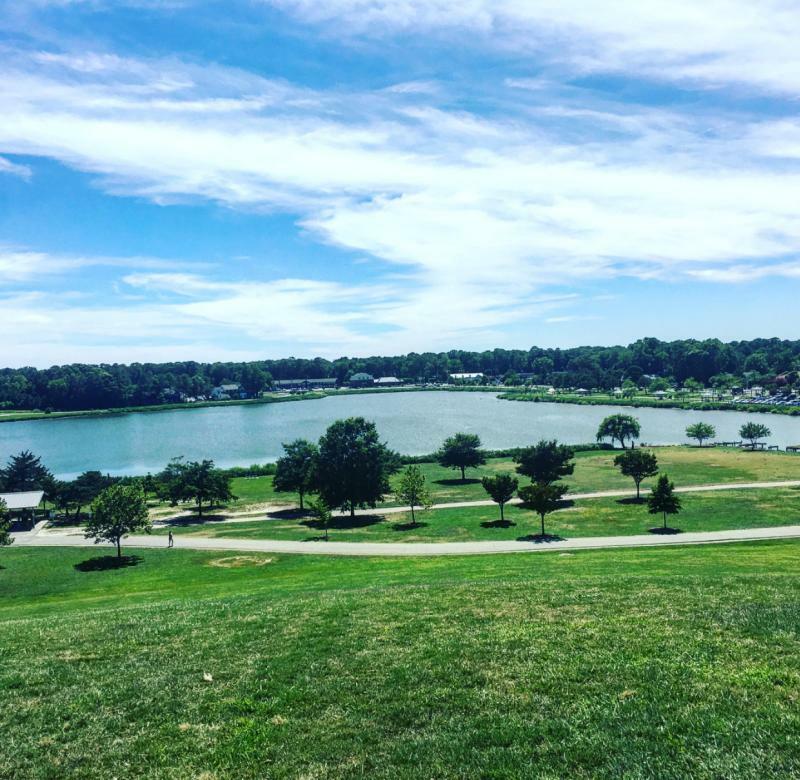 Here are some of our favorite ways to take in the wonders of Mount Trashmore Park. Mount Trashmore Skate Park is a 24,000 square foot skate park with a two-level half pipe of five-foot and six-foot heights, as well as an attached quarter pipe. 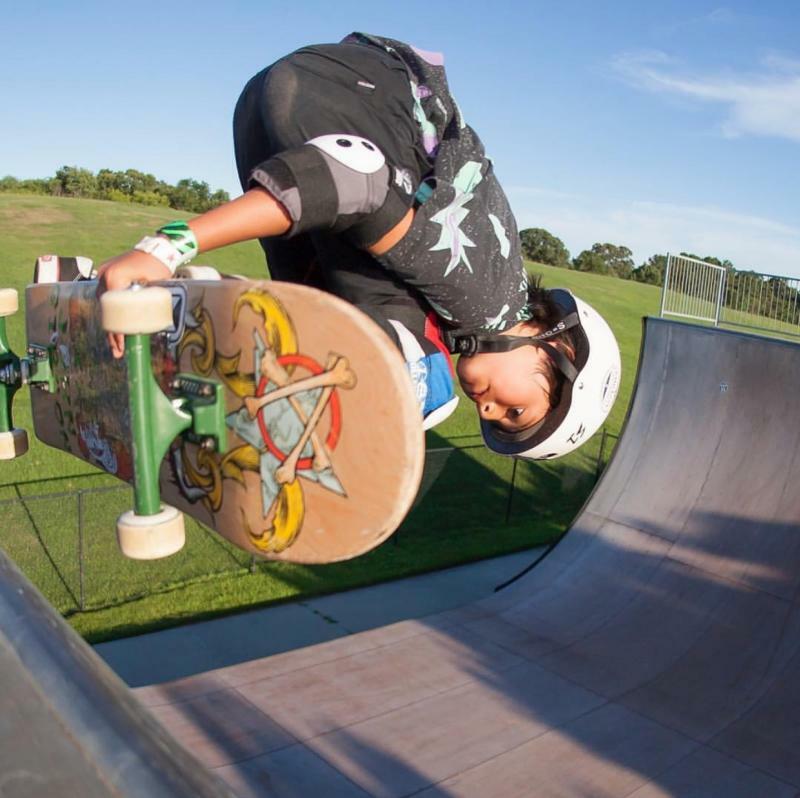 The park also includes a five-foot spine, a 2.5-foot roll over with grind rails and a variety of arched and straight grind rails and boxes. The skate park components are steel framed with all ramps covered with Ramp Armor, the perfect skating surface for skateboarders, inline skaters, and BMX bikers to enjoy. Adjacent to the skate park is a competition-sized vert ramp that stands at a massive 13.5 feet tall and 40 feet wide. All skate participants must sign-up for a skate park pass. Industry Standard helmets are required and use of other protective pads are strongly recommended. Patrons are expected to follow posted rules and staff instructions. 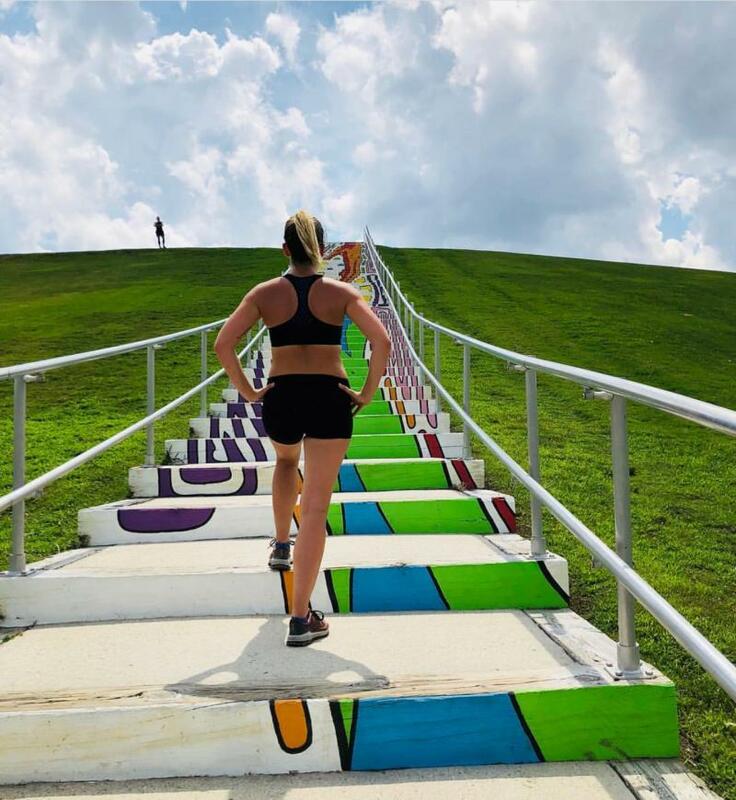 With ten outdoor fitness stations located along the perimeter trail around Lake Trashmore, this park is a dream come true for avid outdoor exercisers. Six LifeTrail stations are designed for active, older adults to help improve posture and balance as well as increase strength. One of the LifeTrail stations is specifically for wheelchair-accessible activities. Four Energi Prime stations create a total body fitness system to help you stretch and strengthen your muscles. Multiple activities are available at each station and exercises for all fitness levels are outlined on the instruction panels. With 11 picnic shelters, ranging from large to small, including three large, two medium and six mini-shelters, all with charcoal grills, and plenty of land to choose from, there’s no shortage of space here to park it and dig into your homemade feast. Mount Trashmore, now 60 feet in height and 800 feet long, offers unbeatable views of the city to enjoy while you eat. For those with younger kids, Kids Cove is a top of the line play area for all youngsters. At nearly 26,000 square feet, the playground is comprised of three distinct play areas built on a rubber surface, including a giant play structure with a multitude of slides, elevated walkways, climbers and more. 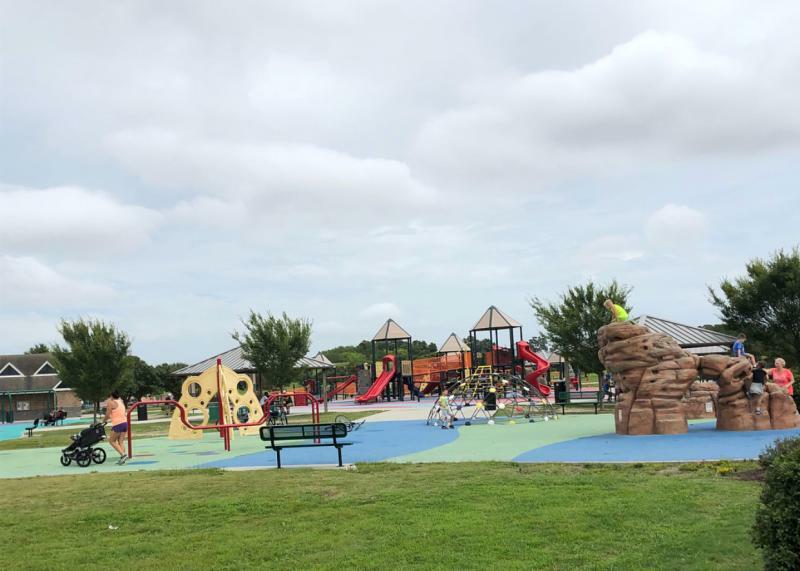 An area that has swings for all ages and an area comprised of a variety of climbing structure are also located at Kids Cove, as are benches and picnic shelters. The play area is fully compliant with the Americans with Disabilities Act (ADA) and is barrier-free to accommodate all children. 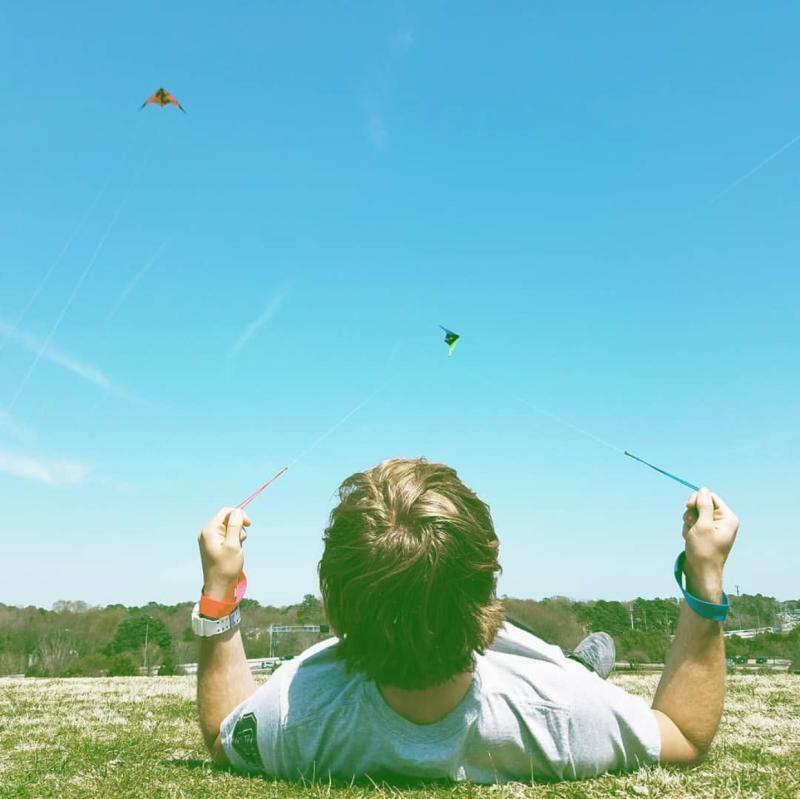 With two man-made mountains, with the elevation possibilities at Mount Trashmore Park makes it the perfect place to fly a kite. On a breezy day, you can see all of the kites hovering over the hill from a ways away. Grab your favorite kite and join in on the fun. Mt. Trashmore features two lakes. Lake Windsor (located along South Blvd.) is brackish water fed by Thalia Creek. For some relaxing time on the water, you can explore Lake Windsor by kayak. With parking nearby, it is easy to drop your kayak in the lake and get paddling. Despite the name, Trashmore Lake (located along Edwin Drive) is a great spot to real in some fish. The deep, 52-acre lake is freshwater and hosts various species of fish, like largemouth bass, sunfish, and white perch. Fishing is permitted from land only and requires a license. Fishers must adhere to all State regulations regarding creel and size limits. No boats, swimming or wading is allowed in the lake.